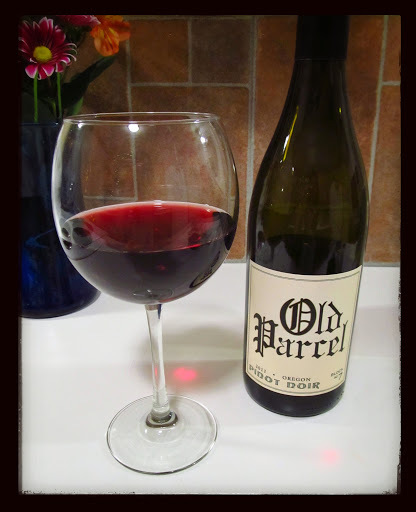 I’m a fan of Oregon Pinot Noir; they can have a delightful balance of bright fruit and rich earthy notes reminiscent of their French counterparts. Whilst preparing a Thai faux-chicken stir fry with brown rice I fancied that bright fruit characteristic, so gave a pour to Old Parcel Block No. 7 Pinot Noir 2011. Unfortunately I was able to locate only scant information on Old Parcel Vineyards. They consist of a small team of winemakers that source their grapes from environmentally friendly vineyards. They favour old vine vineyards as they feel these naturally create expressive, complex wines. Light ruby-red with a pink rim, after aerating aromas of cherry, black olive and fresh mint rose from the glass. Tart cherry and pomegranate flavours were joined by hints of dried herbs in the light to medium body. Earthy forest elements and traces of white peppercorn comprised the moderate finish. Bright and silky smooth, this is an easy drinking glass fantastic for the table or on its own.